This beauty Pike was caught yesterday and Scott just happened to be there at an opportune time to take the above photo. 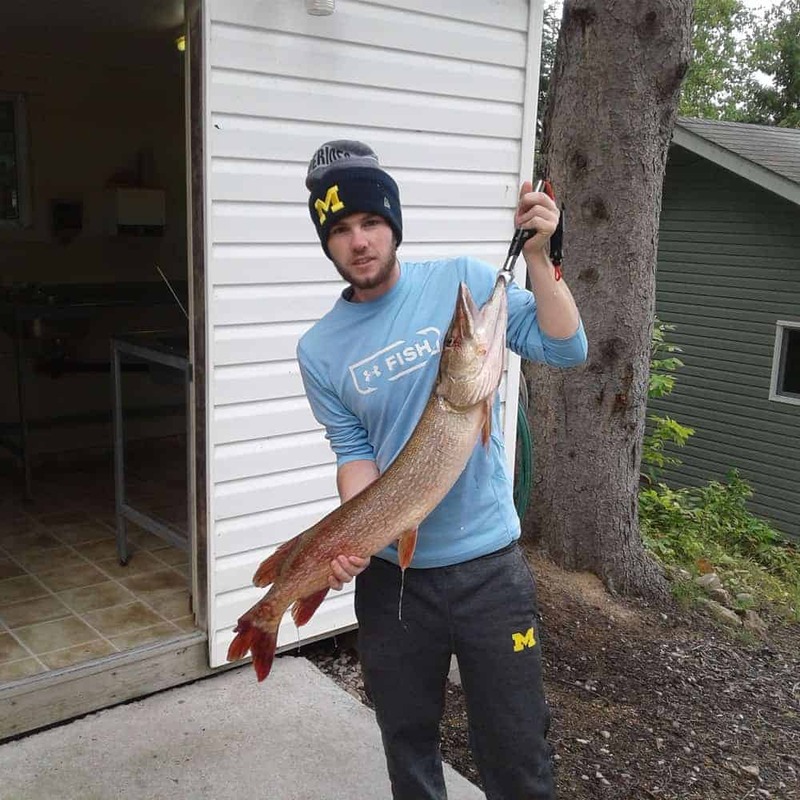 Glad you guys are enjoying your week of Fall fishing:) Great catch! Temps have been all over the place the last few days. It was only a high of 13C a couple of days ago and today it’s a high of 22C with tomorrow looking at 26C. It looks like it’s going to be a beautiful weekend coming up.